At times, the issue of the type of graphics card and the capacity it has becomes an issue prior to purchase. However, Hewlett Packard aims to change all that with this announcement from AMD. AMD today announced that its top-to-bottom line of industry-leading ATI FirePro graphics accelerators are now featured in the new HP Z Workstations. 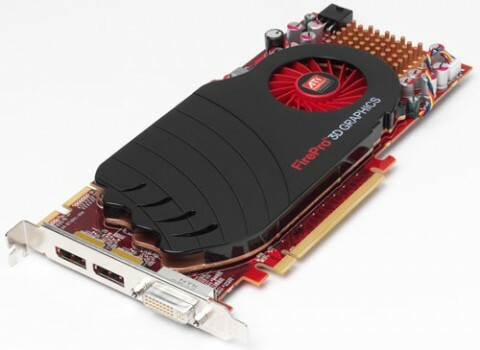 Graphics professionals who use and demand interactivity with complex 3D models in engineering, digital content creation and scientific fields now can take advantage of the new ATI FirePro V7750, as well as the ATI FirePro V3700 and ATI FirePro V5700 graphics accelerators in the new HP Z400, Z600 and Z800 Workstations. Designed and engineered to operate in a wide range of professional operating environments, including Microsoft Windows XP, Windows Vista and Linux, ATI FirePro 3D graphics accelerators are thoroughly tested and certified based on industry standards at AMD test labs. HP Z Workstations with ATI FirePro graphics already have more than 35 application certifications by major applications such as SolidWorks 2009, 3ds Max 2009, and Adobe Premiere Pro CS4, and previous versions with many more certifications pending. The ATI FirePro V3700, ATI FirePro V5700 and ATI FirePro V7750 graphics accelerators are immediately available with new HP Z Workstations. Professionals can choose the right HP Z Workstation and the right ATI FirePro card to best meet their performance, expandability and affordability needs. Here is a PC worthy of a gamer�s needs. The new system is the Phobos Performance Gaming/Home Theater System which comes with two graphic cards for standard models. According to BFG, the dual graphics card set up makes for a serious improvement in performance. The Phobos Performance Edition includes a liquid cooled Intel Core i7-920 2.66GHz processor, the dual graphics cards that run in NVIDIA SLI, one touch overclocking, free installation and more. Such powerful specs for this appealing system which is sure to be the eye for most people looking for powerful PCs to enhance their gaming and graphics-related needs. But the question is would the specs be enough? 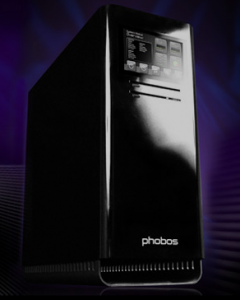 A lot of this is due to the fact that game developers and advanced programming have become demanding as far as specs are concerned and apparently the Phobos PC aims to answer all those issues in one deal. It is actually available now. The whole lot costs a whopping $3,000.00. Not that easy to buy considering one would think first before spending a fortune on such a PC bundle with no assurance that system requirements may soon buck a higher demand. Besides, it has been a trend to see such PCs depreciate in time and for the wise buyers, chances are they will wait a little bit more before buying this crazy device. 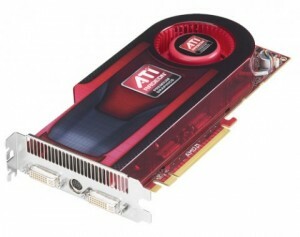 AMD has announced a new graphics card under its wing in the ATI Radeon HD 4890 GPU. This new video card joins the rank of the Dragon series which boasts of 1.35 TeraFLOPS of power. This GPU can be clocked up to almost 1GHz and it has support for DirectX 10.1 titles such as Stormrise from SEGA, Tom Clancy�s H.A.W.X. from Ubisoft and BattleForge from Electronic Arts. What�s great is this graphics card can handle super high resolutions, intense gaming graphics and can be combined with up to three other ATI Radeon HD 4890 cards by using the ATI CrossFireX tech. The demand for higher capable graphics card is obvious in the market today and AMD aims to cater to these requirements. Whether the intent is for gaming or for graphical designing, the point here is that the higher capacity graphic cards are needed to boost the graphic rendering to produce the needed visualization and pixilation required by users today. Other features include ATI Stream technology, Unified Video Decoder 2.0, HDMI support, 7.1 surround sound and more. Eventually this card will be included in PCs from Diamond Multimedia, MSI, ASUS and others, though you can buy it outright right now for $250. For people who feel the need for accelerated graphics, here is a new graphics accelerator card that is sure to sweep you off your feet. The ATI FirePro V7750 graphics accelerator was announced by AMD yesterday and it�s definitely a great choice for those that require high quality graphics for their chosen professions like scientists and engineers. It includes OpenGL 3.0 support and 1GB of frame buffer memory. A great add-on for the gamers who love to play with high video requirements, this is certain to make all your needs a reality. Other features include a 128-bit memory controller, 320 stream processors, a 30-bit display pipeline and PCI Express 2.0 support. Two DisplayPort outputs are included as well as a Dual Link DVI-I output with support for 18, 24 and 30-but displays with a resolution of up to 2,560 x 1,600. This GPU makes it so less processing power has to be used by the CPU for graphics. Plus, High Dynamic Range rendering is supported. The ATI FirePro V7750 is available now for $899 and works on machines running Linux, Windows XP and Vista. Nvidia has announced their latest graphic card solution, obviously aimed at the high influx of 3D. They are quite expensive and are sure to be aiming the businesses like Dreamworks and Pixar as far as better solutions for 3D graphics rendering. Let it be known though that this new Nvidia Quadro graphics card is not really meant for gaming. It is purely for business! Whether designing the next aircraft or delivering seven-day weather forecasts, today�s professionals seek a reliable, robust visualization platform designed to address their unique challenges and needs. Highlighting a decade of innovation that match the exact needs of professionals, NVIDIA today introduced its most powerful and advanced top-to-bottom line of Quadro professional GPU solutions available to date. Based on the company�s revolutionary CUDA parallel computing architecture, this new series provides high-performance visualization and new capabilities to solve highly complex challenges such as: real-time ray tracing, video encoding and interactive volume rendering. These new solutions also contain added graphics memory, double precision support and advanced display capabilities, giving professionals the right features to move beyond visualization barriers, reducing time-to-insight. 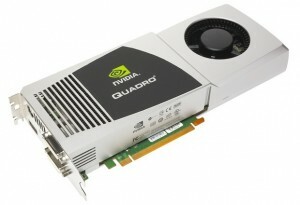 NVIDIA Quadro solutions are widely available through leading system manufacturers such as Dell, Fujistu-Siemens, HP and Lenovo; leading workstation system integrators; and NVIDIA channel partners PNY Technologies (US and EMEA), Leadtek (APAC) and Elsa (Japan). 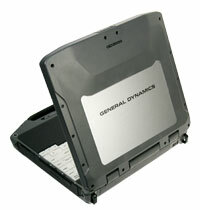 Mobile computing needs to adhere towards the rugged nature where some PC tablets will be exposed. The sensitivity issues are something we are familiar with, the slightest miscarriage of such products posing as potent threats towards damaging any component or the gadget as a whole. Hence, Motion Computing adds another potential rugged tablet PC in the market with the release of the Motion J3400 Rugged Tablet PC. Maximizing performance and flexibility, the J3400’s lightweight package, superior ergonomics and integrated features allow it to adapt easily to a broad range of demanding work environments. Ideal for mobile workers that compute while walking or standing, the J3400 extends the computing day with a dual battery design and shines with an industry-leading, bright outdoor display. The J3400 joins Motion�s family of proven tablet PCs that meet the needs of mobile users across a variety of markets including healthcare, construction, field sales and service and government. Balancing performance, weight, durability and integrated features, Motion tablets have significantly enhanced mobile productivity by enabling users to take technology directly to the point of service. All in one printers and multi-tasking printers are growing in popularity and FujiXerox provides another option in the Fuji Xerox DocuPrint C2200. Long known in the business, Fuji Xerox’s DocuPrint C2200 color laser printer offers better print speeds and quality compared to low-end color lasers, but its price we would have liked to see some more features included as standard. The Fuji Xerox DocuPrint C2200 is quite tall, as its four toners are aligned vertically rather than the horizontally like the HP Color LaserJet CP2025dn. This isn’t unusual for a color laser printer, and it makes the toners easily accessible. 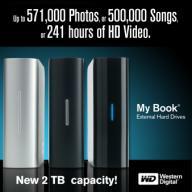 With high capacity yields reaching to 9000 pages each you won’t have to change them too often, however. You should expect a running cost of around 19.3c per A4 page during normal use. The printer offers USB and Ethernet connectivity and can hold up to 400 sheets in a front paper cassette and multi-purpose fold-out tray. Other worthwhile features are optional, however. These include an automatic duplex unit, increased paper capacity, a 40GB hard disk and a 512MB memory upgrade (for a total of 768MB). 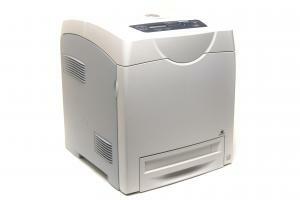 With these options added, this color laser printer becomes more functional but much more expensive. The Fuji Xerox DocuPrint C2200 has a two-line monochrome LCD panel and a four-button navigation pad. Like many networked laser printers, obtaining information about network settings requires you to print out a report. If you need a durable color laser printer with decent security and good print quality, the Fuji Xerox DocuPrint C2200 is a viable option, but it would be nice if some of the optional extras were included as standard.